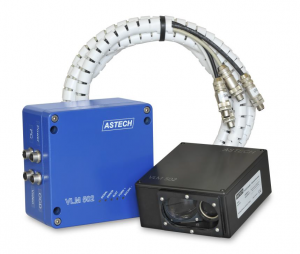 VLM 502: Velocity & Length Measurement - HiTECH Technologies, Inc.
Based on the design of the VLM 500, the VLM 502 boasts many of the same benefits and features as its predecessor. Both the VLM 500 and VLM 502 utilize a CCD Sensor to accurately measure. Speed is measured by using the spacial filter principle (grid modulation), and length is measured by integration over time (light reflection). The VLM 502 enables non-contact speed and length measurements within limited space requirements, due to its small gauge head. For more information, please refer to the data sheet or contact us with any questions.